For other uses, see Battle of Berezina (disambiguation). 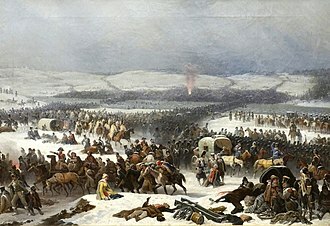 The Battle of Berezina (or Beresina) took place from 26 to 29 November 1812, between the French army of Napoleon, retreating after his invasion of Russia and crossing the Berezina (near Borisov, Belarus), and the Russian armies under Mikhail Kutuzov, Peter Wittgenstein and Admiral Pavel Chichagov. The battle ended with a mixed outcome. The French suffered very heavy losses but managed to cross the river and avoid being trapped. Since then "Bérézina" has been used in French as a synonym for "disaster." 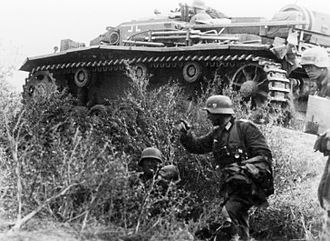 As the surviving masses of the Grande Armée struggled on for the perceived safety of the west, the Russian armies closed in on them. 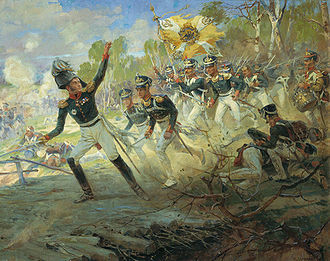 The French had suffered a defeat just two weeks earlier during the Battle of Krasnoi. 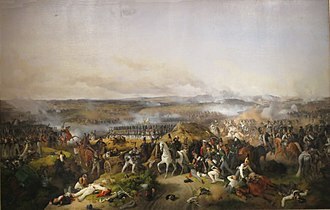 However, reinforcements who had been stationed near the Berezina during Napoleon's initial advance through Russia brought the numerical strength of the Grande Armée back up to some 30,000 to 40,000 French soldiers capable of fighting, as well as 40,000 non-combatants. The Russians had approximately 61,000 troops at the Berezina, with another 54,000 under Kutuzov just 40 miles to the east who were approaching the river. Napoleon's plan was to cross the Berezina River and head for Poland, while his enemies wanted to trap him there and destroy him. 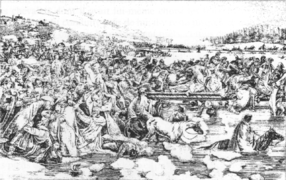 The original plan to cross the frozen river quickly proved impossible, as the usually frozen waterway had thawed and was now impassable. The nearby bridge at Borisov had been destroyed and most of the equipment to build a pontoon bridge had been destroyed a few days earlier. 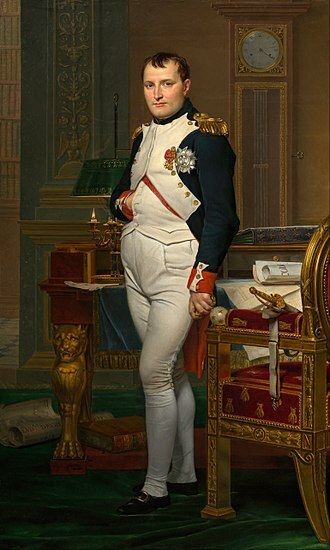 However, the commander of the bridging equipment General Jean Baptiste Eblé had disobeyed Napoleon's earlier order to abandon equipment, instead retaining crucial forges, charcoal and sapper tools and thus only needed protection from Chichagov's force on the far west bank to span the river. Marshal Oudinot was given the task of drawing off the admiral and made a move towards the south. The plan worked, and Eblé's Dutch engineers braved ferociously cold water to construct the vital 100-metre bridge. Hypothermic death in less than 30 minutes of exposure was likely. The four Swiss infantry regiments acted as the rearguard. Cavalry quickly crossed it followed by infantry to hold the bridgehead. The Swiss suffered terrible losses (of the four Swiss Regiments of Oudinot's corps only 300 soldiers survived), but managed to cover both positions and the retreat. This struggle is depicted in the Beresinalied. The Swiss' heroic stand saved most of the French troops. A second structure opened within hours and cannons were taken across it to bolster the defensive perimeter. They arrived just in time, as Chichagov realised his error and attacked the 11,000 French troops. By midday of the 27th, Napoleon and his Imperial Guard were across, and the strategy now swung to saving the Swiss rearguard, which was fighting against Wittgenstein's arriving army. One of the spans broke in the late afternoon, but more feats of engineering skill had it repaired by early evening. The corps of Marshal Davout and Prince Eugene crossed, leaving Marshal Victor's IX Corps to hold off the enemy on the east bank. 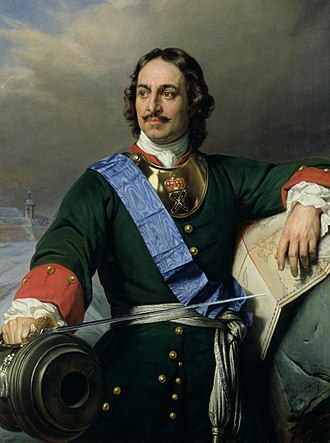 Boosting his firepower with artillery from across the river, Victor held out until after midnight, when his forces were able to join their colleagues, push Chichagov aside, and continue the retreat to France. There is considerable disagreement regarding the numbers of casualties on both sides. While some 22,000 French men became casualties, these included a great number of stragglers, many of them civilians. A higher estimate is provided by historian Jacques Garnier, who places French losses at 25,000 combatants, 25 cannon and 20,000 civilian stragglers, of whom around 10,000 were massacred by Cossacks. 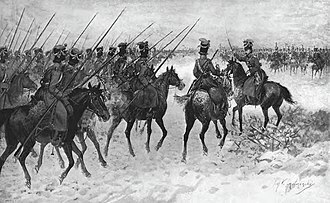 Russian casualties were also high, and although a very moderate 19th century Russian estimate places them at 6,000 they probably amounted to 20,000 men. Historian Alain Pigeard offers more moderate figures (combatants only): between 13,000 and 16,000 men (2000 killed, 7,000-10,000 wounded, plus the entire Partouneaux division killed, wounded or prisoners) for the French, 13,000 men (10,000 dead or wounded, 3,000 prisoners on the right bank) for the Russians. Among the French casualties were three generals and four colonels, killed during this battle. Pigeard's estimate reflects more recent research, with most modern historians placing French losses at around 15,000 combatants and 10,000 stragglers. Russian losses are usually placed at up to 15,000 combatants. According to the modern Russian encyclopedia, the Russian army lost from 8,000 to 15,000 killed, wounded and prisoners during four days; French casualties were from 25,000 to 40,000  Richard K. Riehn estimated French losses at about 30,000; most of these were stragglers, actual battle losses being relatively small with about 10,000 French and 14,000 Russians actually involved. The Battle of Berezina is depicted in the 1956 film War and Peace. The erection of a bridge over the Berezina is described in Honoré de Balzac's novel The Country Doctor. 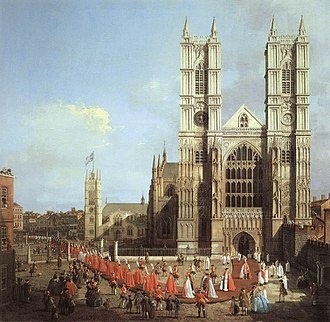 The drama of the battle's story inspired many works of art centred on the crossing. ^ a b c d Tulard, volume 1, p. 202-203. ^ Moscow, 1812: Napoleon's Fatal March on Moscow, Adam Zamoyski, Harper/Collins, 2004, ISBN 0-06-108686-X, page 480. Mikaberidze, Alexander (2010). Napoleon's Great Escape: The Battle of the Berezina. 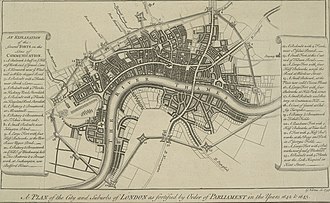 London: Pen and Sword. 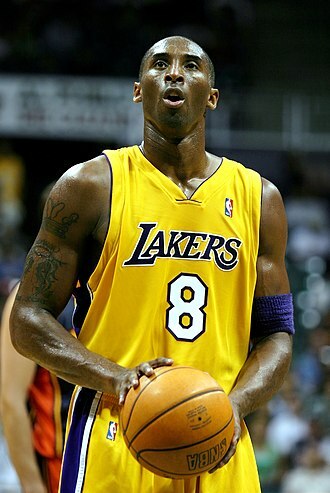 ISBN 978-1-84415-920-8. Claude Victor-Perrin, First Duc de Belluno was a French soldier and military commander during the French Revolutionary and Napoleonic Wars. He was made a Marshal of France in 1807 by Napoleon, in 1781 he entered the army as a private soldier, and after ten years service he received his discharge and settled at Valence. Soon afterwards he joined the volunteers, and distinguishing himself in the war on the Alpine frontier. In Drôme, Valence, on 16 May 1791 he married Jeanne Josephine Muguet, for his bravery at the siege of Toulon in 1793 he was raised to the rank of général de brigade. In 1802 he was governor of the colony of Louisiana for a short time, in 1803 he commanded the Batavian army. In that year he married for a time in June at s-Hertogenbosch to Julie Vosch van Avesaat, by whom he had an only daughter who died unmarried. On the outbreak of hostilities with Prussia he joined the V Army Corps under Marshal Jean Lannes as chief of the general staff. He distinguished himself at the battles of Saalfeld and Jena, after the peace of Tilsit he became governor of Berlin, and in 1808 he was created duke of Belluno. In the same year he was sent to Spain, where he took a prominent part in the Peninsular War, here his most important service was in protecting the retreating army at the crossing of the Berezina River. He took a part in the wars of 1813–1814, until in February 1814 he arrived too late at Montereau-sur-Yonne. The result was a scene of violent recrimination and his supersession by the emperor, thus wounded in his amour-propre, Victor now transferred his allegiance to the Bourbon dynasty, and in December 1814 received from Louis XVIII the command of the second military division. 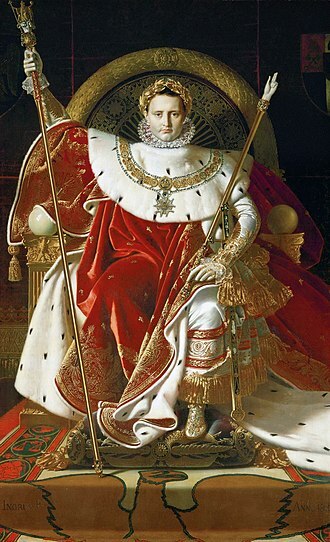 In 1815, on the return of Napoleon from exile in Elba Victor accompanied the king to Ghent, when the second restoration followed the Battle of Waterloo he was made a peer of France. He became president of a commission which inquired into the conduct of the officers during the Hundred Days, in 1821 he was appointed war minister and held this office for two years. In 1830 he was major-general of the guard, and after the July Revolution of that year he retired altogether into private life. 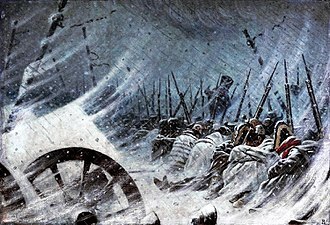 The Battle of Klyastitsy, called battle of Yakubovo, was a series of military engagements which took place in 1812 near the village of Klyastitsy on the road between Polotsk and Sebezh. 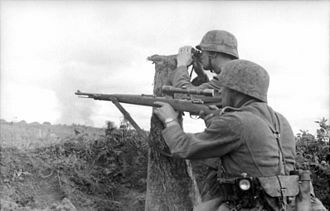 In this battle the Russian corps under the command of Peter Wittgenstein, the result was inconclusive, with both sides suffering heavy losses and retreating along their communication lines after the battle. On 28 July, twelve French cavalry squadrons were surprised and attacked by eight Russian hussard, at that time Oudinot occupied the village of Klyastitsy on his advance towards St. Petersburg. There were 28,000 French troops while the Russian Corps numbered 17,000, in spite of being outnumbered, Wittgenstein decided to fight. 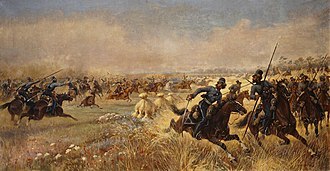 The battle started on 30 July at 2 pm, the Russian vanguard led by Kulnev fought with the French vanguard for the whole day near the village of Yakubov. Kulnev managed to press the French but they kept the village under their control, on the next day, after several attacks and counterattacks, the Russian advance forced Oudinot to retreat to Klyastitsy. Napoleon attacked Smolensk occupied by Russian General Bagrations corps and captured two of the suburbs. 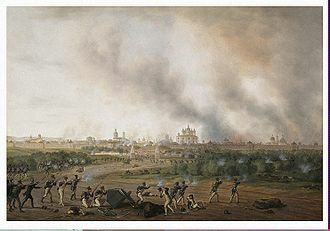 During the night the Russians evacuated the burning city, the Battle of Smolensk is commemorated on the Tomb of the Unknown Soldier, with the inscription SMOLENSK17 VIII1812. 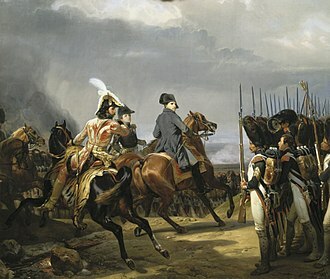 Initially the Russians employed hit and run tactics against the Grande Armée, Napoleon therefore devised the Smolensk Manoeuvre in an attempt to sweep behind the enemy and inflict a decisive defeat. On August 14,1812 forces under the command of Joachim Murat, Marshal Davout, and Michel Ney crossed the Dnieper River at Rassna using bridges constructed overnight. The plan was to race toward the city, taking it without a fight, unfortunately for the French, conflicting orders and a breakdown in communication had already led Bagration to disobey orders and instead of marching west, he occupied Smolensk to the south. By August 16, French forces found the city heavily garrisoned by Bagrations troops, further reinforced with the subsequent arrival of Barclay and the main Russian army. In contemporary academia, disasters are seen as the consequence of inappropriately managed risk. These risks are the product of a combination of both hazards and vulnerability, hazards that strike in areas with low vulnerability will never become disasters, as in the case of uninhabited regions. 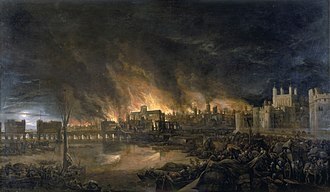 The word disaster is derived from Middle French désastre and that from Old Italian disastro, the root of the word disaster comes from an astrological sense of a calamity blamed on the position of planets. 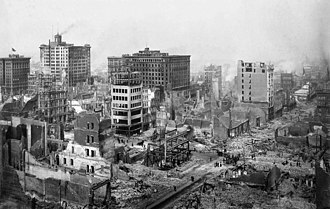 Researchers have been studying disasters for more than a century, all disasters are hence the result of human failure to introduce appropriate disaster management measures. 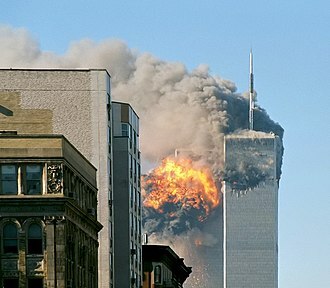 Hazards are routinely divided into natural or human-made, although complex disasters, a specific disaster may spawn a secondary disaster that increases the impact. A classic example is an earthquake causes a tsunami, resulting in coastal flooding. However, the growth of the worlds population and its increased concentration often in hazardous environments has escalated both the frequency and severity of disasters. Pavel Vasilievich Chichagov or Tchichagov was a Russian military and naval commander of the Napoleonic wars. He was born in 1767 in Saint Petersburg, the son of Admiral Vasili Chichagov, at the age of 12 he was enlisted in the Guard. In 1782 he served in a campaign in the Mediterranean as an aide to his father, after the war, he studied at the Royal Naval Academy. While there, he met Elizabeth Proby, the daughter of a commissioner at the Chatham dockyard, and became engaged to her. 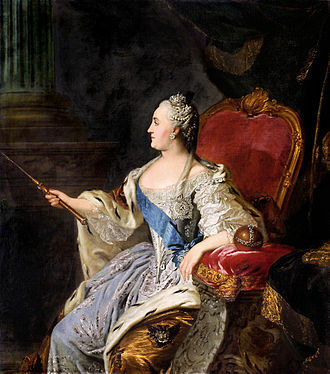 When he returned to Russia in 1796, he applied for permission to marry but was told by Paul I there are sufficient brides in Russia, some violence followed and Chichagov was sent to prison. He was soon pardoned, given permission to marry Elizabeth, in 1802, Alexander I, Pauls successor, promoted Chichagov to Vice Admiral and made him a member of the Committee on Navy Reorganization. In 1807, he was promoted to Admiral and appointed Minister of the Navy, Chichagov resigned and traveled in Europe in 1809-1811. 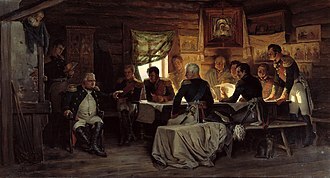 In 1812, Alexander recalled him and appointed him Commander in Chief of the newly formed Third Western Army, the 1812 Treaty of Bucharest ended the Russo-Turkish War by the time he took command of the army.